Femtocell is not a technology many of us talk about neither do we hear about it often; however, the solution is slowly gaining popularity among the masses as an alternative to other in-home wireless technologies. In 2013 the global femtocell market was worth approximately US $304.8 Million; by 2020, this amount is expected to reach US $ 3.7 Billion, according to Allied Market Research. TP-LINK has release a new wireless home router, called the N600 Universal Wireless Dual Band Entertainment Adapter (TL-WA890EA). It offers dual frequency of 2.4GHz each with speed of up to 300Mbps, enough bandwidth to stream HD video, music and online gaming. At less than US $60.00, you can network most of your home entrainment devices to it; there four ports enough for your Smart TV, Game Console, Set-Top Box and Blu-ray Player. It has WPS (Wi-Fi Protected Setup) switch button and a web interface for easy management. QNAP the makers of NAS (Networked Attached Storage) has become the first of such companies to be certified by Control4 to work with its home automation solution. The certification of QNAP storage systems has made easier for users and integrators to add storage to Control4 as part of their home network. 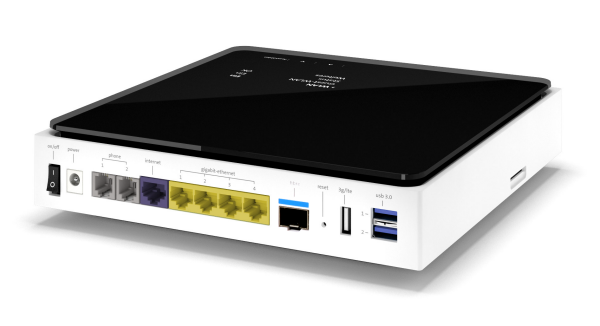 SoftHome has announced that Swisscom has selected their operating platform for the new Internet-Box home gateway currently rolling out to Swisscom’s residential customers. The Internet-Box is complemented by Swisscom’s new fibre-optic network to offer customers internet speed of up the 1Gbps. The Internet-Box offers the latest in wireless connectivity along with parental control for safe and responsible Internet surfing. Network Attached Storage (NAS) manufacturer Asustor has upgraded its NAS software platform the Asustor Data Master (ADM) to version 2.0. New Apps added include Mission Backup, FTP Explorer and Searchlight search engine. App Central has also been updated and two mobile Apps have been added. The user interface optimized to allow you to upload your own desktop wallpaper, pin frequently used Apps to the ADM menu bar and arrange the order of your Apps. The people at Fujitsu laboratories said they have come up with a solution that will make it easier for us to access and manage our digital content. The marketing department hasn’t come up with a name for it yet, I will just call it, ‘the solution’. Fujitsu said this with this solution you will be able to access files at home or in the cloud and be able to edit them from any mobile device. The reason for this new solution said Fujitsu is to reduce the cost of cloud storage and to make it easier for us to access and manage our digital content on the go. Is Deutsche Telekom Planning to Offer Home Monitoring Services? Deutsche Telekom recently announced that they are partnering with DSP Group, a wireless chipset manufacture, to trial the use of ULE (Ultra Low Energy) technology in Deutsche Telekom’s Speedport Home Gateway. ULE is seen by many as an important part to next-generation home networking and a preferred solution to offering connected home services. Read more about Is Deutsche Telekom Planning to Offer Home Monitoring Services? After last year’s success in China, the HomePlug Alliance is going back this year to host the Connected Home Summits. Unlike last year Chinese Technology Summits where they did two shows, this year they are doing three from November 11 to 15 in the cities of Beijing, Shanghai and Shenshen. Exclusive to the Beijing summit there will be a panel which include China’s Government Officials and moderated by CWW's Editor-in-Chief Yang Hai-Feng.